thebooksage: Does the streak continue? You bet it does. 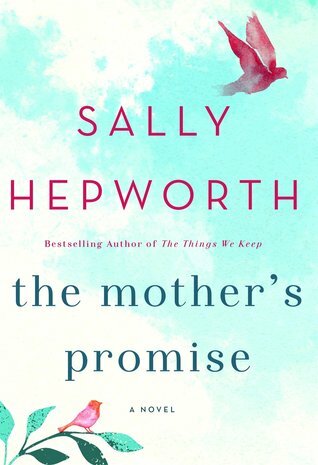 A mother's promise by Sally Hepworth is outstanding. Does the streak continue? You bet it does. A mother's promise by Sally Hepworth is outstanding. All their lives, Alice Stanhope and her daughter, Zoe, have been a family of two, living quietly in Northern California. Zoe has always struggled with crippling social anxiety and her mother has been her constant and fierce protector. with no family to speak of, and the identity of Zoe's father shrouded in mystery, their team of two works - until it doesn't. Until Alice gets sick and needs to fight for her life. Desperate to find stability for Zoe, Alice reaches out to two women who are practically strangers but who are her only hope: Kate, a nurse, and Sonja, a social worker. As the four of them come together, a chain of events is set into motion and all four of them must confront their darkest fears and secrets - secrets about abandonment, abuse, estrangement, and the deepest longing for family. Probably the most important message I got from this book is how difficult it must be to live with social anxiety disorder. Having never really been exposed to anyone who obviously has it, I'm betting that Sally did her research and depicts Zoe accurately. We can chalk up Zoe's actions to being a fictional character. Except that Sally makes us feel what Zoe is feeling. That actually is true of all the characters in the book. Nice going, Sally. You made me feel so connected to Zoe that I thought it was raining indoors! 1. The book alternates chapters between the voices of Alice and Zoe. As you probably know, ad nauseum, I like that approach in a book. I think it's very effective here. 2. There are 4 main characters in tmp, with a few supporting cast members thrown in. The more they interconnected, the more I liked it. And there is plenty of interconnecting. 3. Besides crying profusely (I should have been embarrassed...but I wasn't), I also had some "Uh oh's," "Oh boy's," and even an "Oh (expletive)." 4. As predictable as a book like this might seem to be, there is a huge surprise toward the end that left me agape and aghast (bet you don't see those words together very often!). 5. Did I mention I did a little crying? Here is what my note said: "Are you kidding me? How much crying can 1 person do?" And that, my friends, is verbatim. 6. It's funny that the book takes place in Northern California when Sally lives and writes in Australia. - "The silence in the room was loud. So loud." - "It was agony, waiting for someone to make the most important decision of your life." - "All around her people paired up with the ease of magnet and metal." Since Melissa sent me this copy of the mother's promise, I am happy to send it to someone else. If you would like to have it, go ahead and let me know. If there are more than one of you, then we'll set up a chain of reads/sends. But whether or not you are interested in receiving this copy, make sure you find a way to read it. the mother's promise is just a really good book. Great review! So glad you liked it. You haven't steered me wrong yet! I loved this novel! Yay for the streak! We both know that it's not that common to read a bunch of really good books in a row. I am most happy right now. I read this book too and agree about the tears. Thanks for sharing, and I hope your reading streak continues. Thanks. I'm almost done with another good book - The Atomic Weight of Love, by Elizabeth(!) J. Church. I'm riding high. Great on riding high!! I love when I have a lot of good books in a row. Elizabeth is a good name. :) I can't find your first name. May I know what it is? It's Lloyd. My parents must have had a brain freeze when they came up with that one. When our 1st child was born, we told my parents that we were naming him Joshua. My mom said: "Joshua? What kind of name is that?" I said: "Anybody who names their son Lloyd has no say in what we name our son!" There you have the story behind the name. Recycle Book Club (RBC) Schedule: http://booksage.blogspot.com/2016/08/recycle-book-club-rbc-schedule.html. 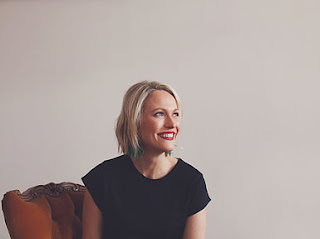 I have been blogging for over 6 years. But I have been reading books for over 60. I currently read 65-70 books and over 25,000 pages each year. Hopefully, I will find books that you readers will enjoy. Happy reading. The Literary Gods Continue to Smile Down On Me!